Looking for quality artificial grass suppliers? 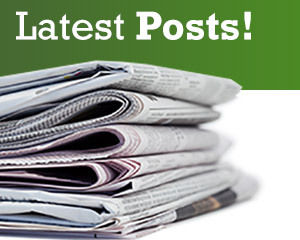 Latest Posts | Looking for quality artificial grass suppliers? 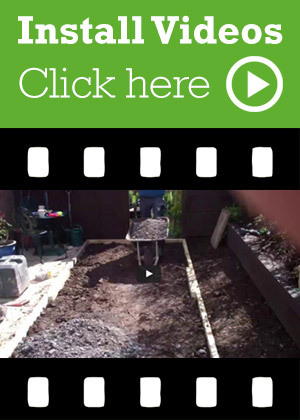 Are you considering a low maintenance makeover in your garden? For the perfect solution artificial grass suppliers Quickgrass are the right choice. These days we all value our time and having a low maintenance garden is just one area of our life where fitting an artificial lawn will save us time when we are working hard during the week, save us from that weekend task if we work weekends or even relieve our weary bones for those of us who have retired and can no longer physically mow that lawn! Choosing the best artificial grass supplier from the large number that appear on google or yahoo or the various online platforms can be a bit mind boggling but here at Quickgrass we have tried to make the selection process a bit easier by offering a full range of different artificial grass to suit all budgets but all manufactured within our excellent Dutch and Belgium factories. All our artificial grass is made using the finest ‘Ten cate’ yarn, the number 1 grass fibre yarn in the world. This means your grass once installed will not fade or degrade over many years from UV exposure, it will last a lifetime. 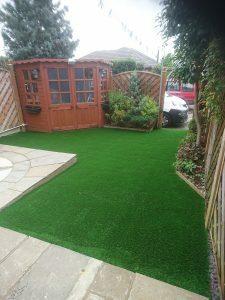 Our fake grass is super soft, constructed using our unique ‘Soft Touch’ Polyethylene yarn for both green and brown thatch fibres. As an artificial grass supplier at the cutting edge of this industry this means walking bare foot on our grass is a pleasure, certainly not rough and spiky. Children just love its feel. Get the paddling pool out and it’s fantastic! Soft underfoot, non –slip and after the day is done the pool can be tipped straight over the grass with the water draining away rapidly through the punched drainage holes, leaving no mud or large yellow circles where the pool has been. If the kids are grown up and you can no longer manage that chore of mowing the lawn, rather than cover the area in hard stones, add a bit of green with artificial grass and you will have your low maintenance garden makeover. 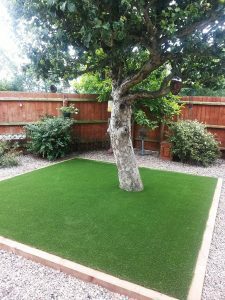 For those of us who have dogs, large or small, artificial grass allows us to have that perfect looking garden all year round without the mud and mess coming back into the house that we normally might have. For more information please contact us or request a sample.